Hi! My name is Seth Fewell. In my 13 years as an Educator, I have been deeply involved in the incorporation and use of technology in Education. 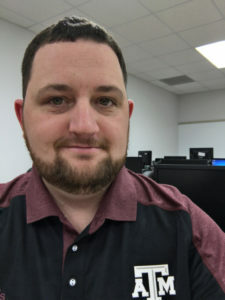 As an expert in my field, I design and provide Professional Development and Training programs for Technology Integration for my district, and frequently present at conferences. My personal strengths in web design, audio engineering, and expertise in facilitating international video conferencing (including an HD Video Downlink with the International Space Station and Expedition 35 Commander, Chris Hadfield) brought my students, astronauts, scientists, educators and musicians from all over the world together, creating a unique and exciting educational experience for my students. Personally, I am a loving father above everything else in my life. In my free time, I love to spend time with my kids, decompress and enjoy nature, make music, and occasionally play some sports. I love learning, and in addition to my studies, I like to learn about astronomy, science, and of course, technology. It was my love of technology and my interest in teaching adults that led me to the Masters program at Purdue University. It was my love of learning, and my desire to “do more” that led me to the Ed.D. program in Curriculum and Instruction at Texas A&M. This site was originally created in fulfillment of the requirements of a Masters of Learning Design and Technology at Purdue University, from which I graduated in December 2013. With this online portfolio I am able to highlight my major projects and milestones that have been reached in this program. Many of these highlights involve topics that are within my personal interests, and all utilize my strengths in technology, education, and instructional design. This site will continue to feature examples of my work, including presentations, as I work toward completion of my Ed.D. in Curriculum & Instruction.